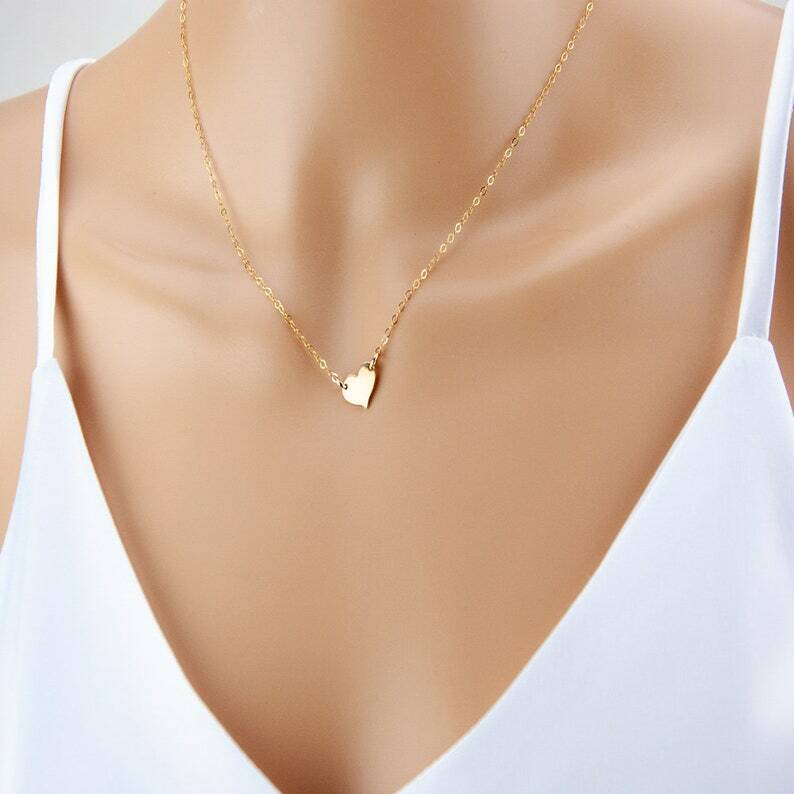 Select an option 15" 16" 17" 18" 20" 22"
This dainty necklace features a shiny small heart pendant attached to a 14k gold fill or sterling silver delicate chain. Looks great layered with other pieces as shown in other photos above. You can have up to 2 initials stamped on the heart charm. Please type the initials you want in the "note to seller" at checkout in either upper case or lower case. Example: "sa" or "SA". The default is blank if no initial is specified. Heart charm: Dainty 2-holed heart charm in 14k gold fill or sterling silver. Cable chain: High quality 14k gold fill or sterling silver cable chain and components. Easy to open spring clasp. Comes in a pretty gift box ready for gift giving. US orders shipped via USPS: All items are made to order. Our production time is 3 to 5 business days. Shipping times do NOT include production times. Shipping times take 4 to 6 business days, longer during holidays. International shipping can take from 2 to 4 weeks and longer during holidays. Customs can hold your package from 5 days to 3 weeks.